I want to start out by saying to all of you who were praying for each one of these events, that I witnessed enormous transformations and deep relational paradigm shifts in the hearts of many who attended both of these weekends as open listeners encountered the message of who God is and what’s in His heart for them. 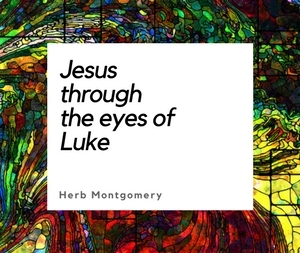 I have never been more convinced that Jesus (and the way He understood the Character of the Father) is the lens through which we desperately need, as Christians (those who claim to be following Jesus), to reassess all of our interpretations of what the Scriptures are teaching. The God that Jesus reveals is so radically different from what many have assumed God to be. When I arrived at South Lake Tahoe, my first impression was that this was simply going to be another weekend series. Many of those who attended had heard me before or had read my book, so, at the very minimum, I was excited to be able to build on information I had shared before and to offer some new thoughts that have been churning in my head and heart in regard to the Gospel. But, as I was sitting at the Fellowship Dinner after the morning church service, I met a dear sister who had quite a story. Her son had left, not simply the church, but had left a faith in Jesus entirely. This mother had read my book Finding the Father, and felt a strong need to share the book with her adult son. (You could see the emotion in this mother’s heart as she shared this story with me.) Her son read the book and encountered a God he had never imagined existed. His heart came into contact with a love he had never believed was there and was able to understand that the love in God’s heart had been reaching out to him every moment of his life. He felt that God’s love surrounded him as genuinely as the air he breathed. What else could he do but breathe it in? This mother was simply visiting the church there in South Lake Tahoe. Her family was vacationing there, and they had no idea that the “author of this book” was at the local Adventist church that they were planning on visiting. She walked in during the first presentation that morning and, when she realized who was speaking, her mouth hit the floor. I was so humbled to hear her story of how the God her son found in the pages of Finding The Father had turned his heart back to Himself and infused it with a newfound passion to become a follower of Jesus in all that that genuinely means. Praise God for His Extravagant Love. But, what a blessing I received this weekend and what a blessing that so many people came up to me and proclaimed that they had received blessings this weekend too. I had met one of the small groups of this church at the Arizona camp meeting last summer, and there was an immediate connection. There are times in my travels when I stumble into intense pockets of God’s grace at work. This was one of them. This little group was largely made up of retirees, but they are anything but “old”! I have to confess that, at first, I was astounded at the progressive openness of their thinking and the level of acceptance and love that I witnessed in terms of their feelings for one another. I immediately recognized what I was seeing, in their interactions with each other, “Jesus” incarnate again. They also immediately felt an affinity to the words and ideas that they heard me presenting each evening at that camp meeting, and a friendship, a kinship was established and something very special was set in motion. This last weekend was just a step along that journey, and, although I encountered so many blessings and miracles this last weekend, it was just the beginning. I will be returning to this church in the fall of 2012 to help its members take the message of God’s extravagant, radically self-sacrificial, other-centered love to the community around them. I may write more about this in next week’s devotional, or I may not. We’ll see; but I can say that, at the very least, during this last weekend in Albuquerque, New Mexico, God’s heart was proclaimed and many testified to seeing Him very differently. There is no virtue in and of itself in terms of being “different.” But, to see God very differently, when your picture beforehand contained relationally destructive Ugliness and now you’re are seeing the restorative Beauty of God more fully, THAT is a difference worth celebrating. For all of those who support Renewed Heart Ministries, either financially or simply through your prayers, thank you. God’s kingdom is being enlarged. I see it every weekend, and we could not do it without you. We’re in this together. Let’s keep finishing the work that Jesus began in terms of revealing the Father until the next age of radical sacrificial other-centered love eclipses the present. Now, go build the kingdom this week, and know that I’m praying for you. Love like the sun, love like the rain.